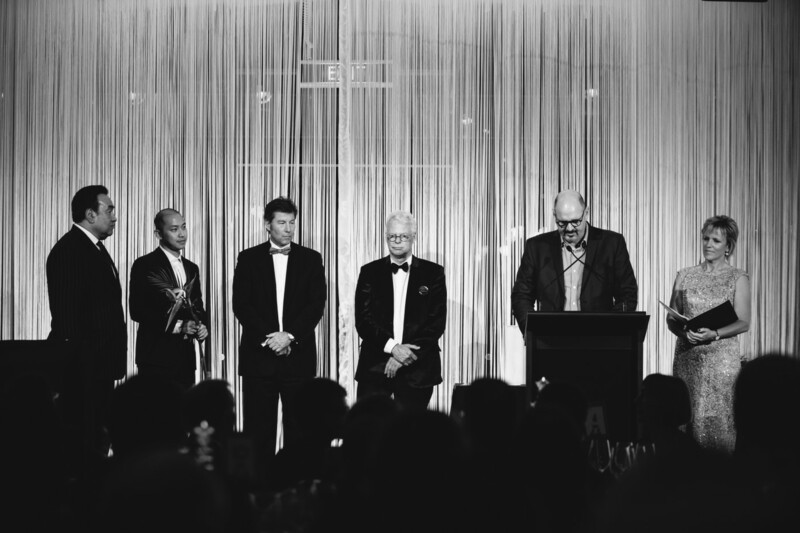 Andrew Patterson was recently awarded the NZIA Gold Medal. This is the highest New Zealand industry achievement. Andrew was welcomed on the stage by host, Mihingarangi Forbes, where he gave his acceptance speech. 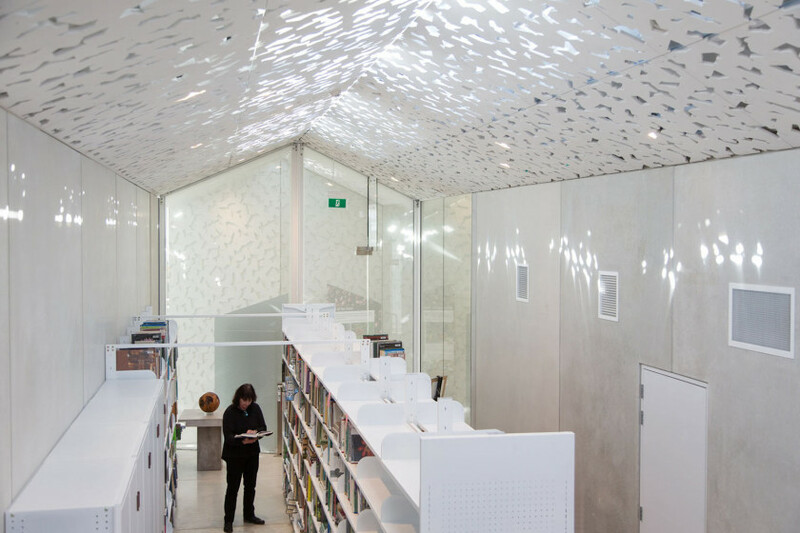 This month we celebrated New Zealand’s built environment at the 2017 New Zealand Institute of Architecture Awards. 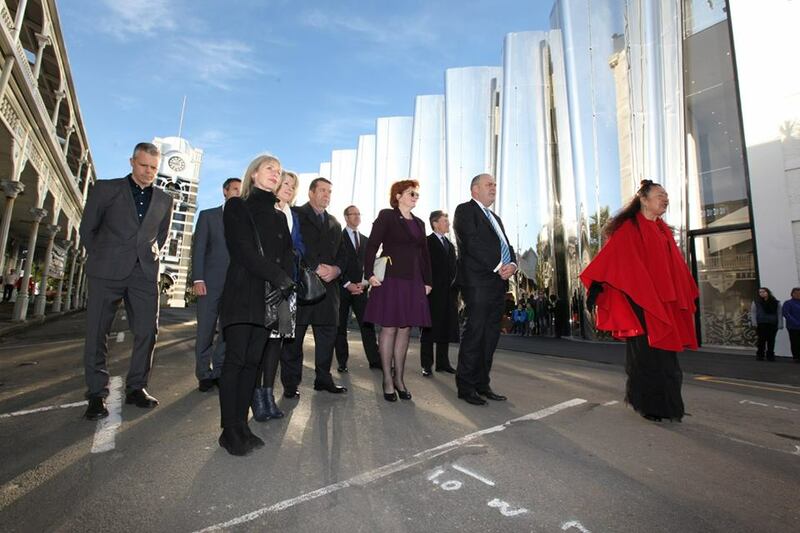 The event was MC’ed by journalist, Mihingarangi Forbes at the ANZ Viaduct Events Centre, Auckland. 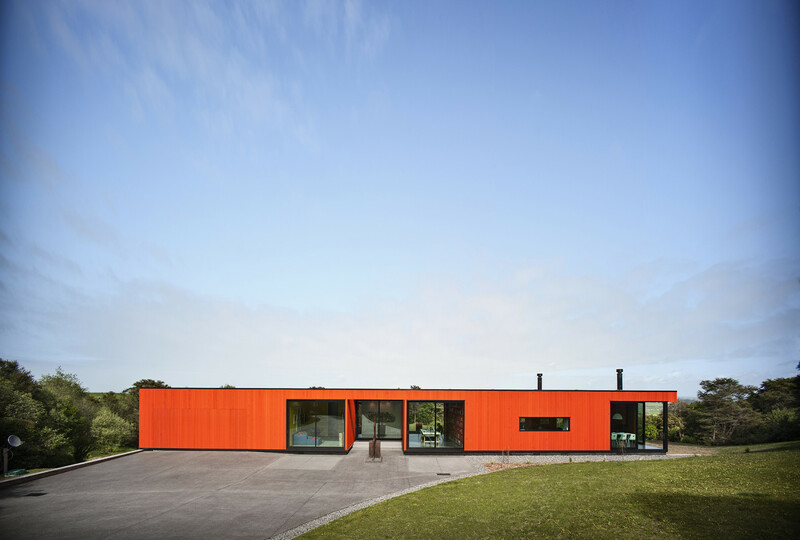 The jury was led by NZIA president, Christina van Bohemen, prior president, Pip Cheshire and founder of Assembly Architects Limited, Louise Wright. 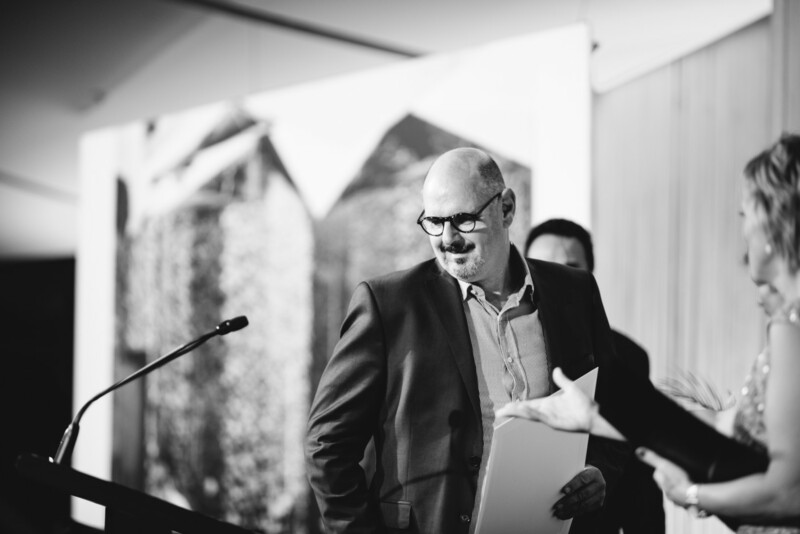 Founder and creative director of Patterson Associates, Andrew Patterson was awarded the NZIA Gold Medal; This is the highest individual honour an architect can receive in New Zealand and it’s rarely given mid-career. Andrew is currently the youngest recipient to win the Gold Medal. 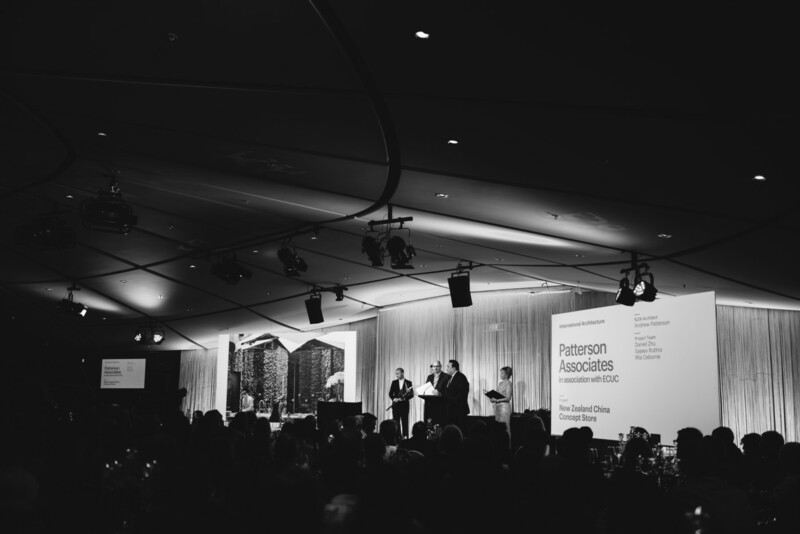 The Gold Medal Award celebrates Pattersons achievements and contribution to New Zealand architecture. 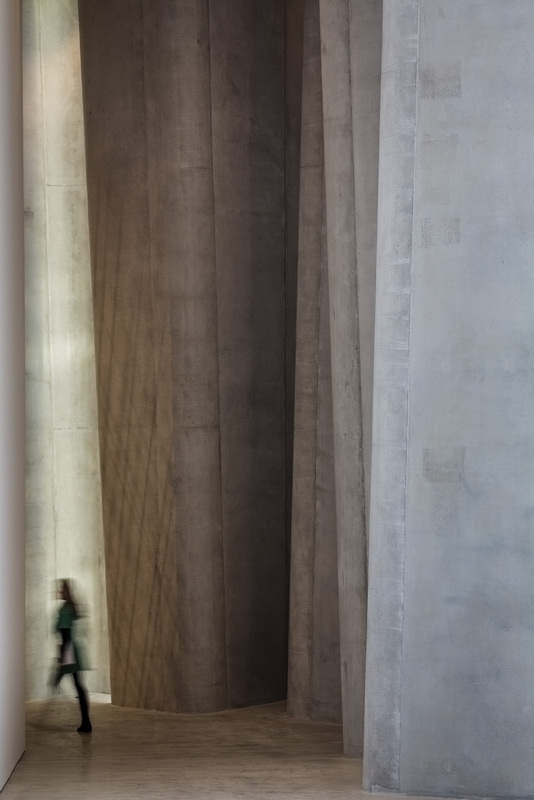 To mark the occasion, the Institute produced a short 10-minute film highlighting his work. 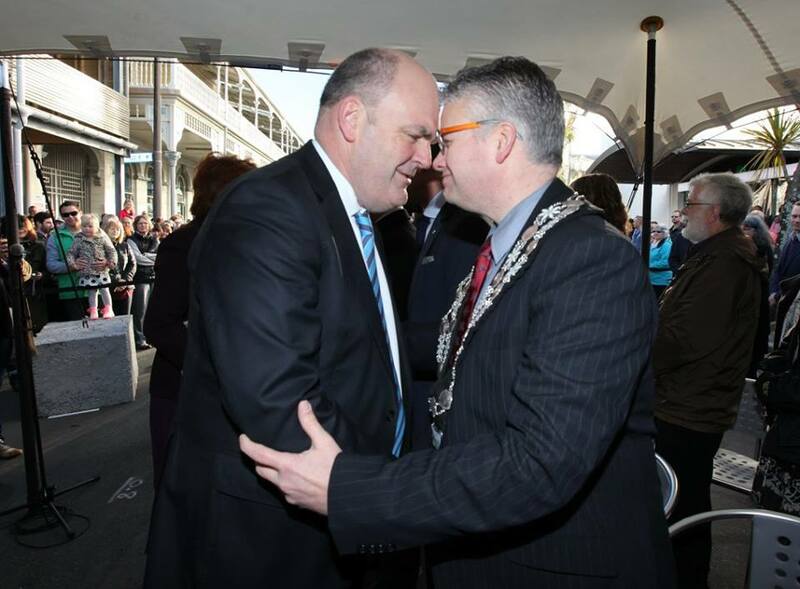 This week we attended the successful launch of Han Restaurant. Pattersons were approached by joint owners Min Baek and Grace Kwon, in July to design a restaurant that delivers a western twist on a modern Korean cuisine. 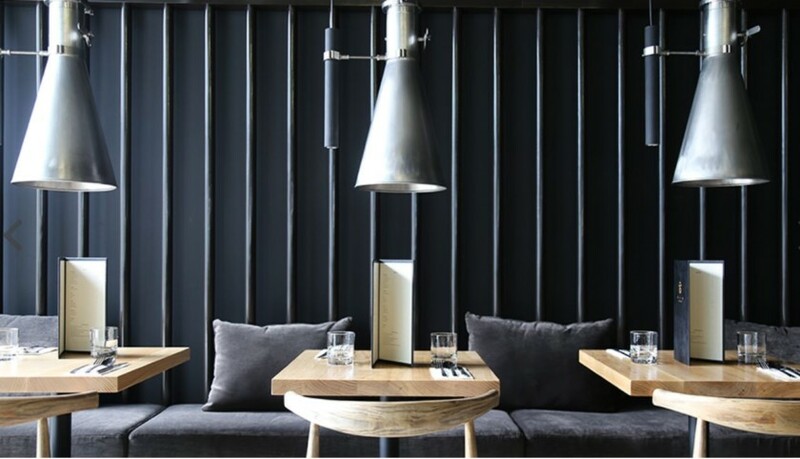 Located in the Geyser building in Parnell, the restaurant offers a unique adaption on Korean charcoal BBQ and modern fine dining. The fit out comprises of a back of house, kitchen, bar/front of house and a dining room. 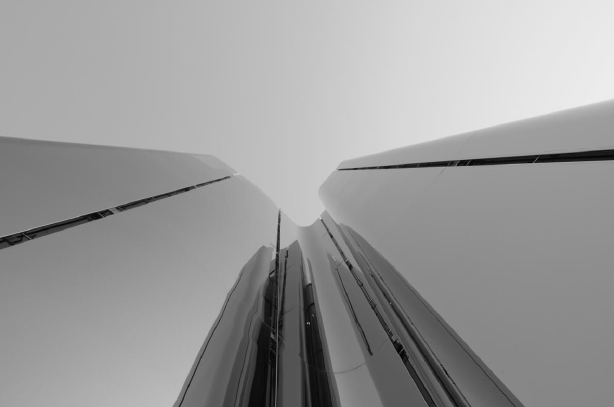 Conscious consideration was placed on space and layout. 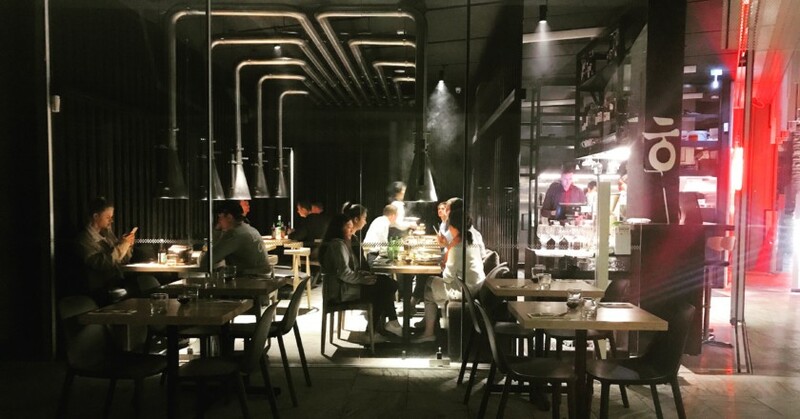 One of their food offerings is cooking over charcoal, meaning the biggest part of the design brief was designing an extract system that could service ten tables in a relatively small tenancy. The dining room is enclosed by a timber dowel screen wall rather than a solid closing, thus creating transparency between cooking space and the diners. The timber dowels are glossy bokara grey and sit in front of a space cote matt charcoal grey wall. The ceiling, painted charcoal throughout, has 10 suspended stainless steel custom designed extracts hanging from it. 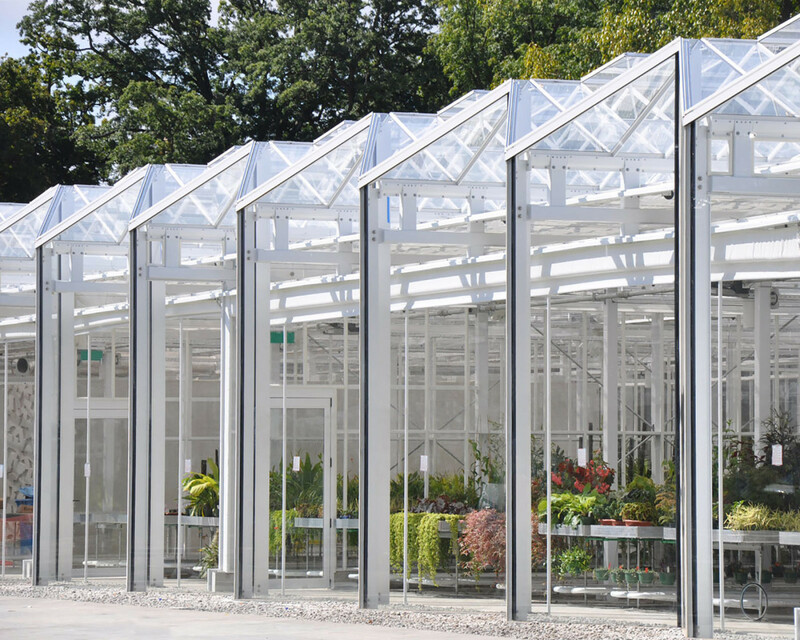 The stainless steel tubes and bending radius’ are standard off-the-shelf. The only custom fabrication on these were the rolled flutes with the butterfly closers. The downlights are machined from the same dowel as the wall and fitted with tiny LED downlights that are clamped to the extract. The fit out is fairly utilitarian in that its design was driven to be practical and operational and in doing that we ended up with a pretty slick result. We are delighted to hear that Annandale Luxury Retreats has won Gold in the 2017 World Travel Awards. 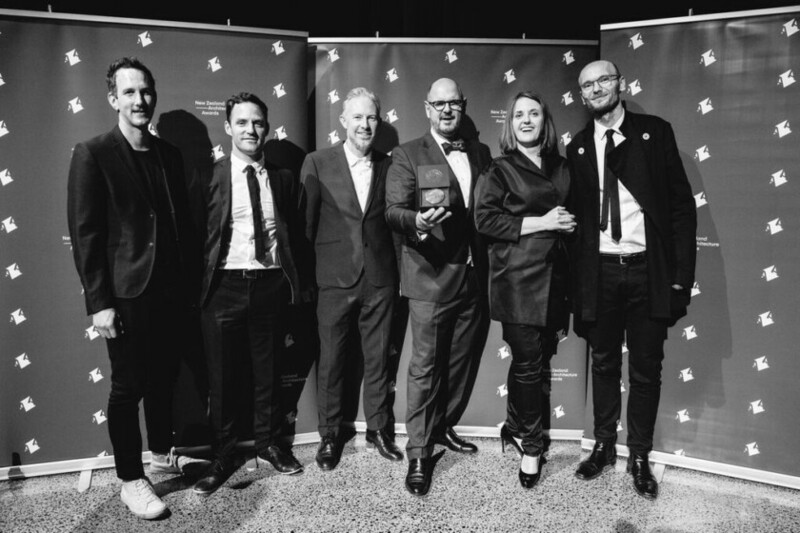 Taking the title of ‘Leading Experiential Luxury Property’ in Australasia, Annandale was acknowledged, rewarded and celebrated for excellence in the travel and tourism industry. 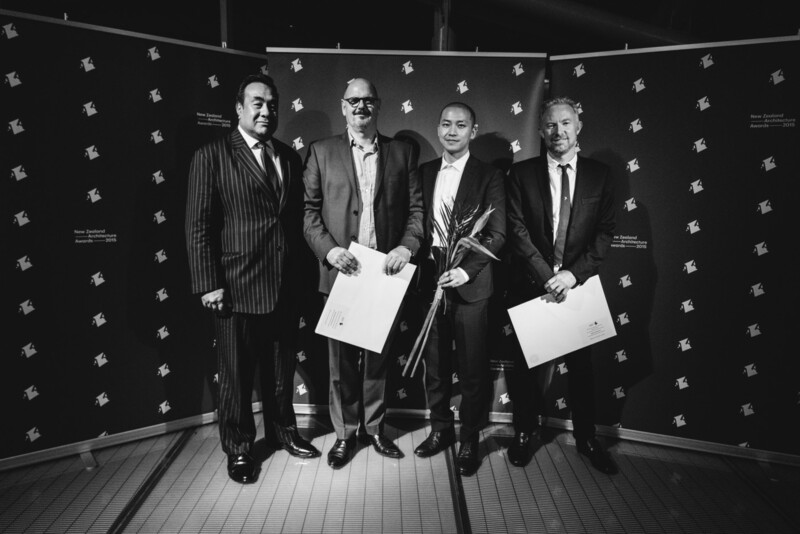 The ceremony was hosted in the Grande Kempinski Hotel, Shanghai, by President and Founder of the World Travel Awards, Graham Cooke. New Zealand voted the third most beautiful country in the world. 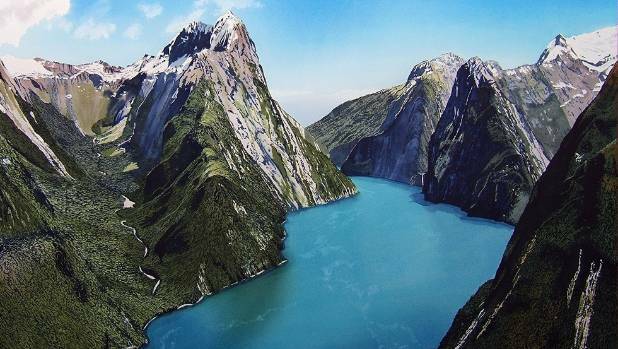 According to the readers of Rough Guide, New Zealand is considered the third most beautiful country in the world. 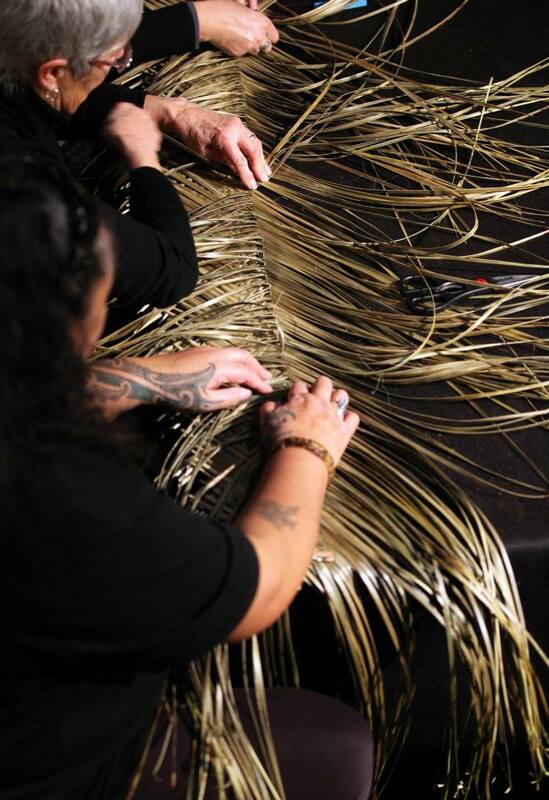 This wouldn’t be the first time that New Zealand has been celebrated for its natural beauty. 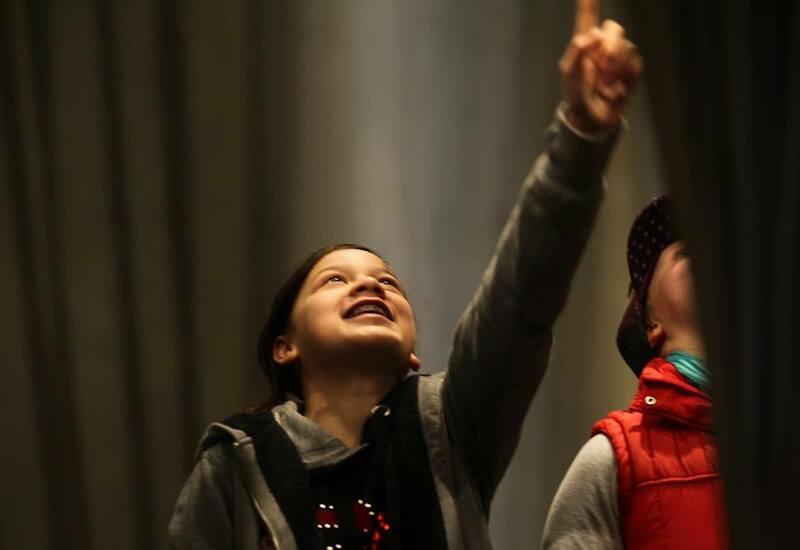 In 2015 World Travel Market ranked New Zealand first for authenticity, natural beauty and safety, whilst a study completed by the US News and World Report voted New Zealand as the 14th ‘Best Country in the World’. 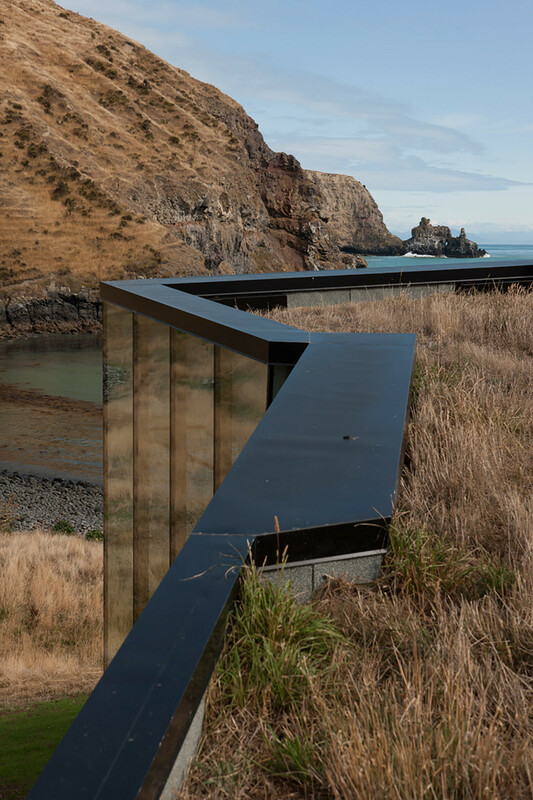 Escape Here listed the top ten beautiful views of New Zealand in a recent blog post. 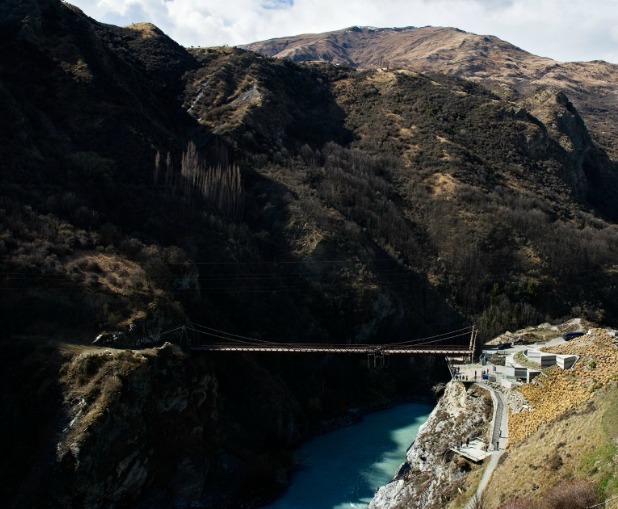 Placing fifth was the Kawarau Gorge Suspension Bridge, neighbour to the AJ Hackett Bungy Centre. 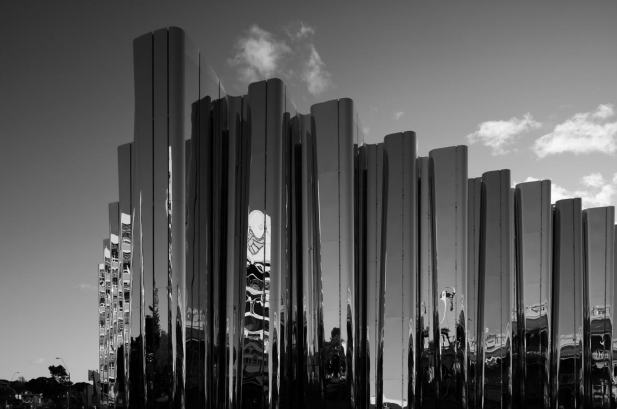 Len Lye Boosts Tourism in Taranaki. 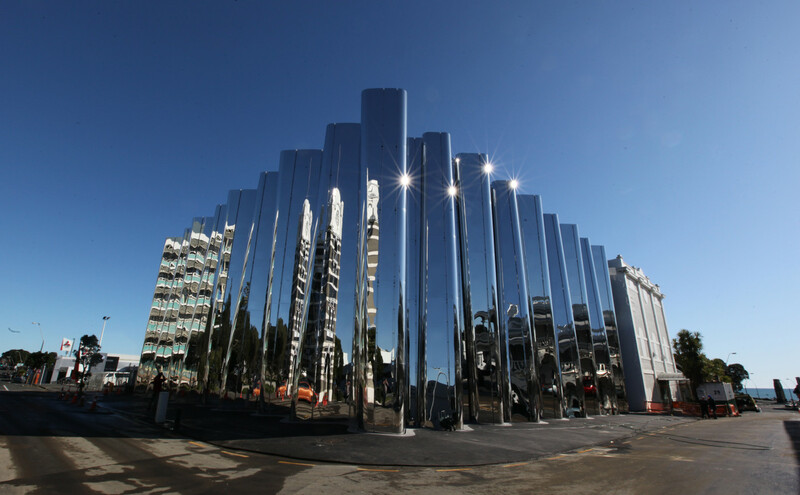 A fantastic article in Stuff Magazine this week, mentioning the Len Lye Centres’ contribution towards the Taranaki regions tourism sector. 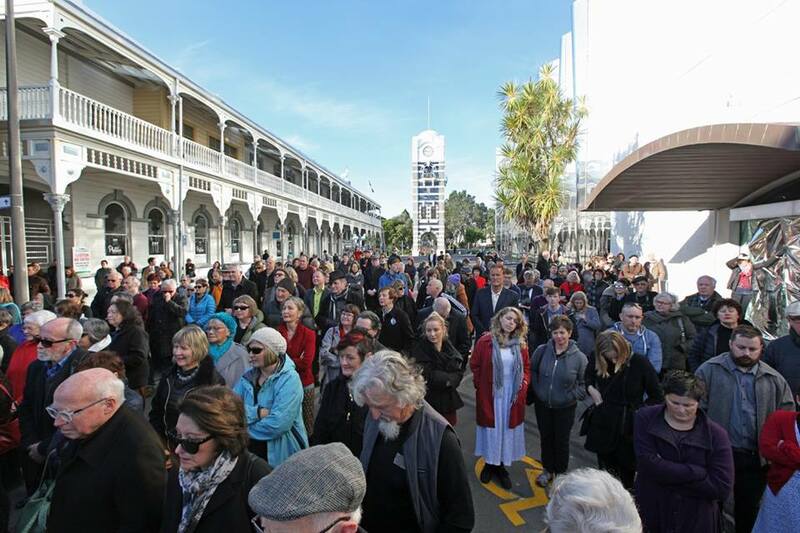 Bayleys Research Manager, Ian Little, presented to a number of commercial and real-estate developers last week regarding the surge in visitors and touristic opportunities in New Plymouth. 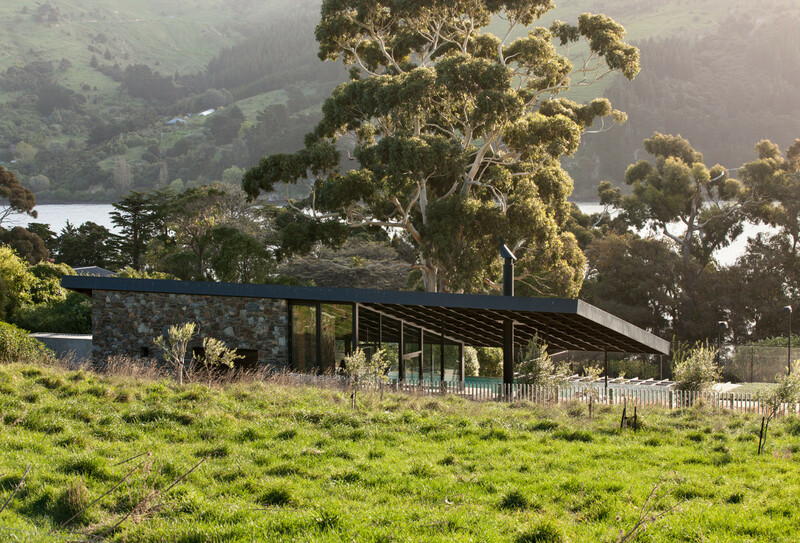 We are thrilled to have been advised that Kinloch Lodge has been shortlisted in this year’s NZIA Architecture Awards. 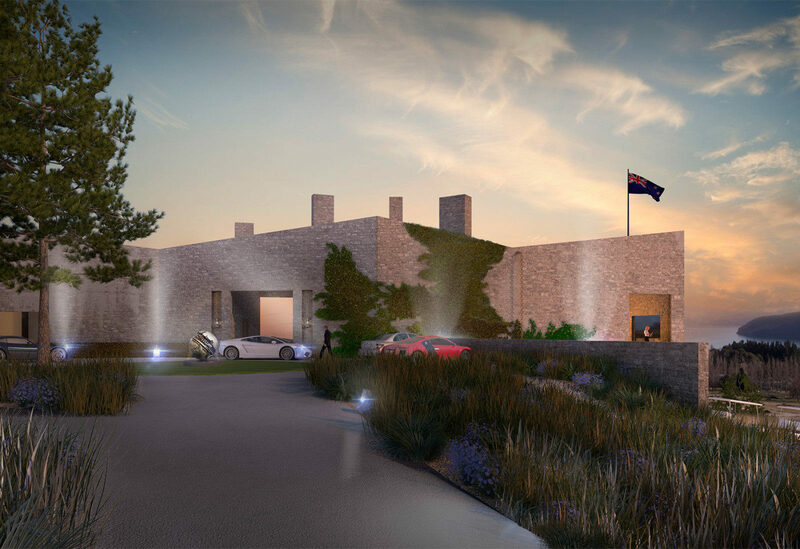 Working closely with Livingstone Builders and The Kinloch Club, the brief was to design an extended club house, lodge facility and central spa for guests. The golf club sits upon a rock escarpment in Taupo, New Zealand and overlooks the courses tundra landscape and distant highlands. The golf course itself was designed by professional American Golfer and renowned golf course designer, Jack Nicklaus in 2005 and is considered one of his finest courses in the southern hemisphere. 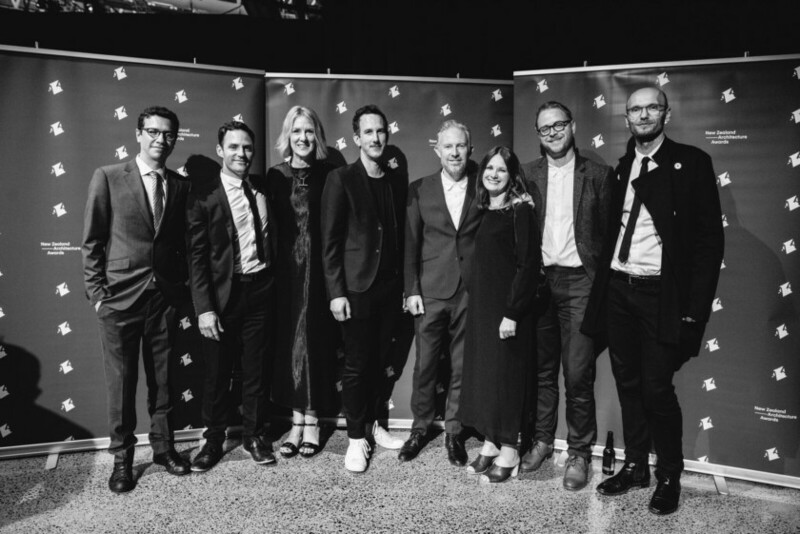 Interior Awards – Aesop Newmarket wins at Interior Awards. Patterson Associates has won the Retail Award at the 2017 Interior Awards for Aesop Newmarket. The judges described the store as: “Intimate and elegant, meticulous and sophisticated with a simple, bright idea as its basis. 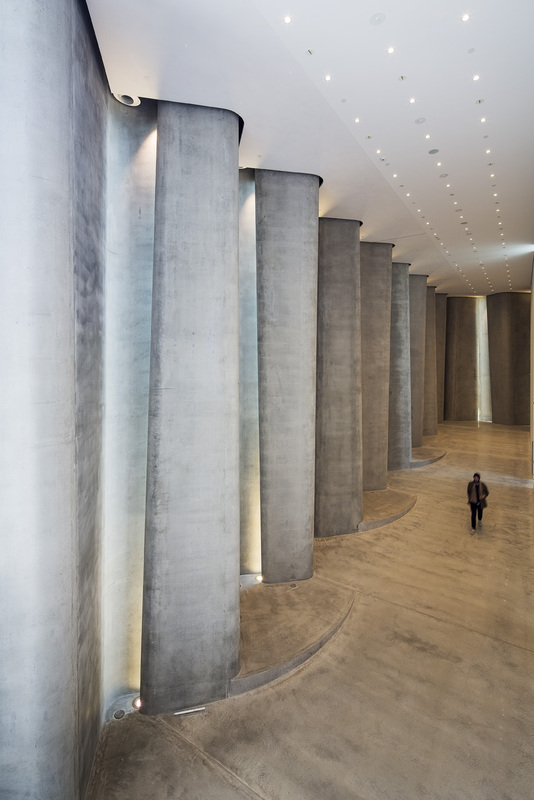 This space proves that a singular clear concept can often be stronger than large operatic solutions”. 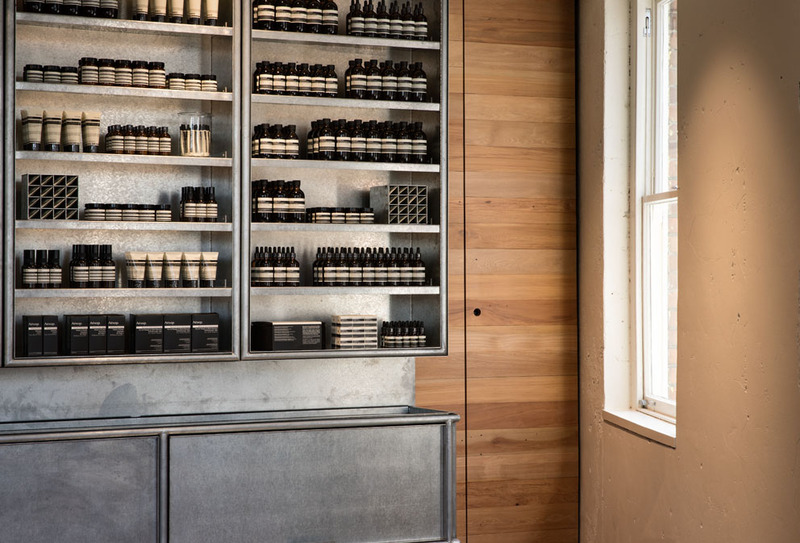 Pattersons was approached in 2017 by the international skincare brand Aesop, which was looking to open a flagship store in Newmarket. 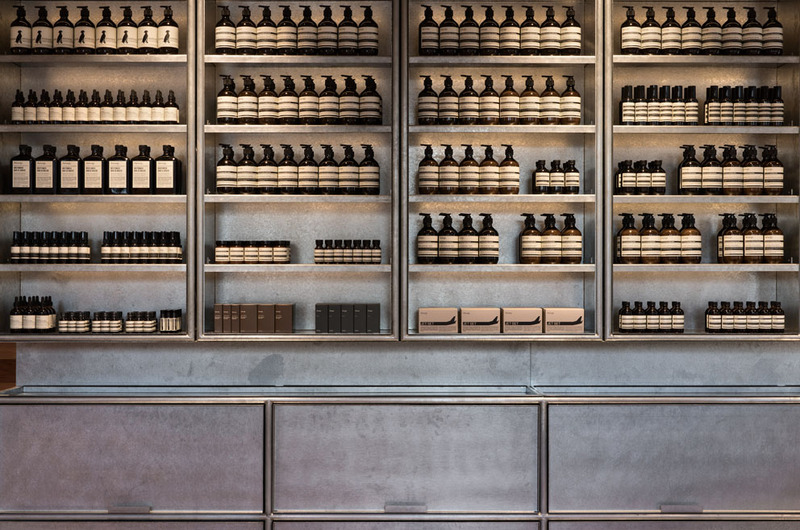 Already recognised for their unique retail spaces, Aesop’s philosophy is focused on the tactile and sensory, and their stores are orientated around the domestic rituals of washing. Aesop chose a beautiful brick building hidden on the back streets of Newmarket. 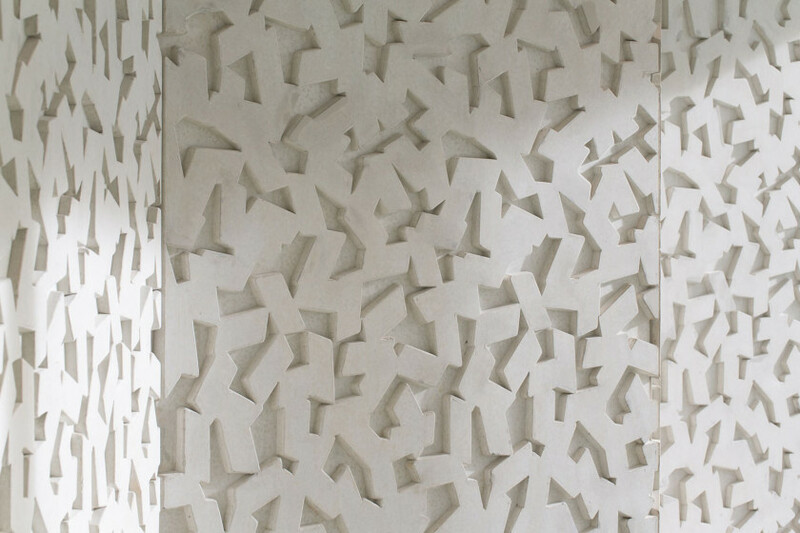 Originally an old bakery, we used the space to replicate the sensors of a rustic washroom. 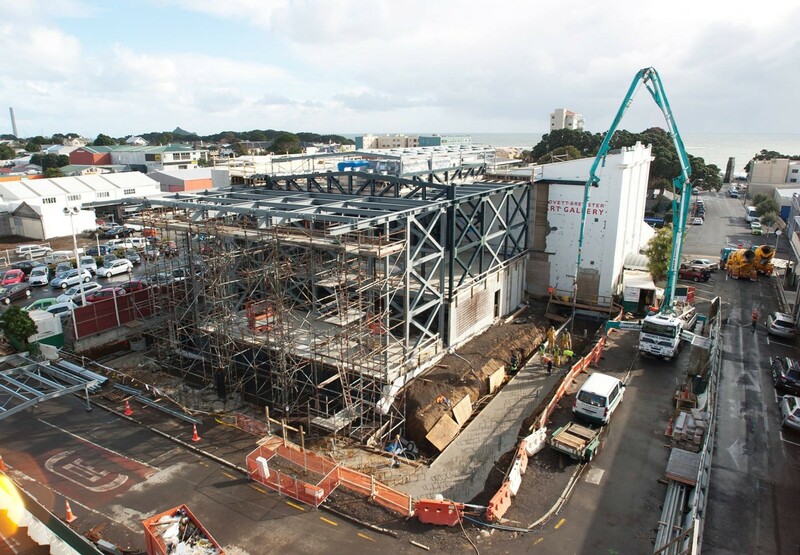 The renovated space now consists of native timber boarding and weather galvanised steel, giving customers the experience of entering a traditional Kiwi batch, or old colonial washroom. 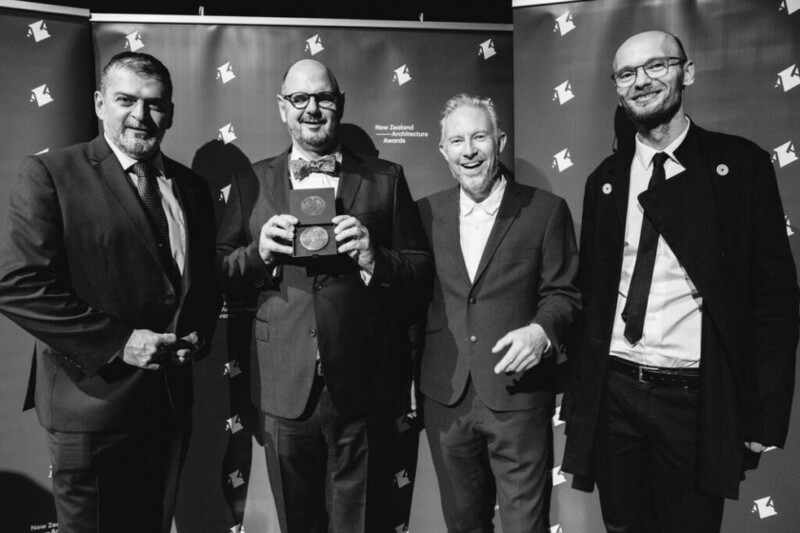 The award was received by Lead Designer Luke Douglas who attended the ceremony last week at Auckland’s Metropolis Museum. 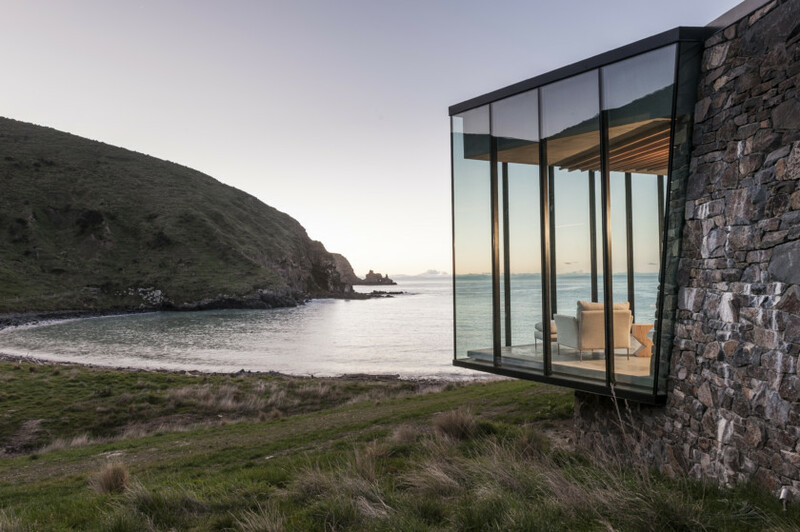 The builders for Kinloch Lodge, Livingstone Builders, have been awarded silver in New Zealand’s Commercial Project Awards 2017 in Tourism. Kinloch Loch was originally designed by Jack Nickalus in 2005, with plans for development introduced early 2013. Patterson Associates was brought on board to redevelop the lodge and surrounding facilities at the end of 2015. This led to expansion for an extended Clubhouse, lodge facility and central spa. 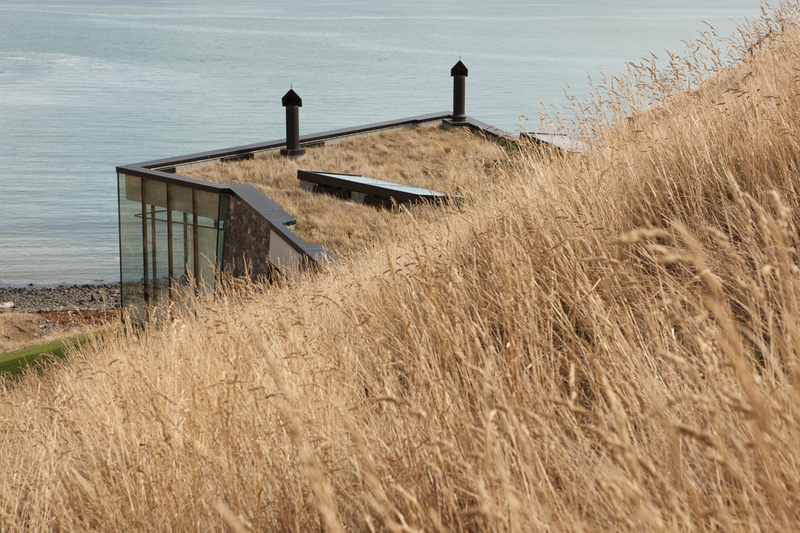 The award-winning lodge is positioned above the golf course, perched on a rocky escarpment. It was constructed largely of bagged stone on blockwork, with tower-like chimneys seen from above. 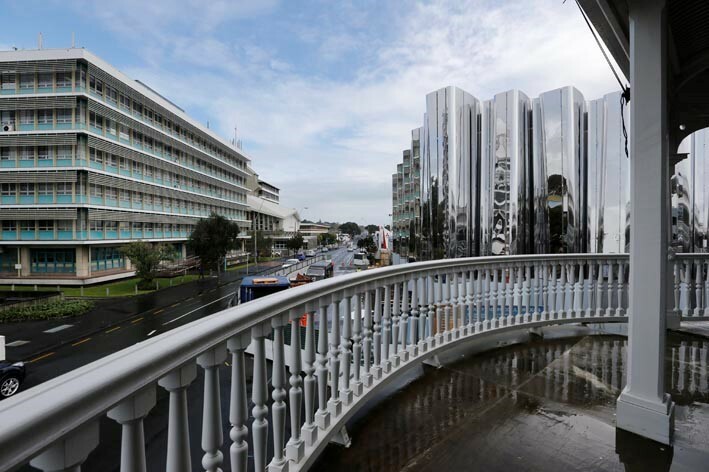 The Commercial Project Awards ceremony was hosted at the Langham Hotel earlier this month, where 79 buildings were celebrated. 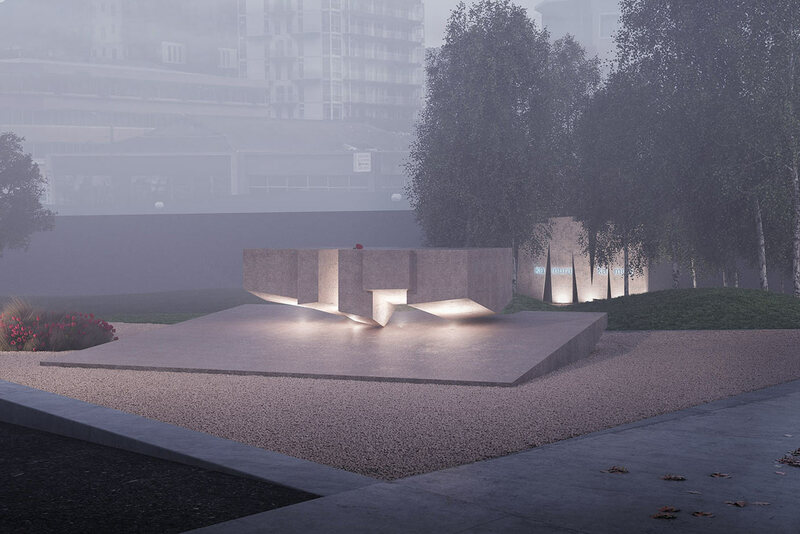 The French Embassy has selected Le Calligramme, by Patterson Associates, as the winning entry for a war memorial in Wellington. 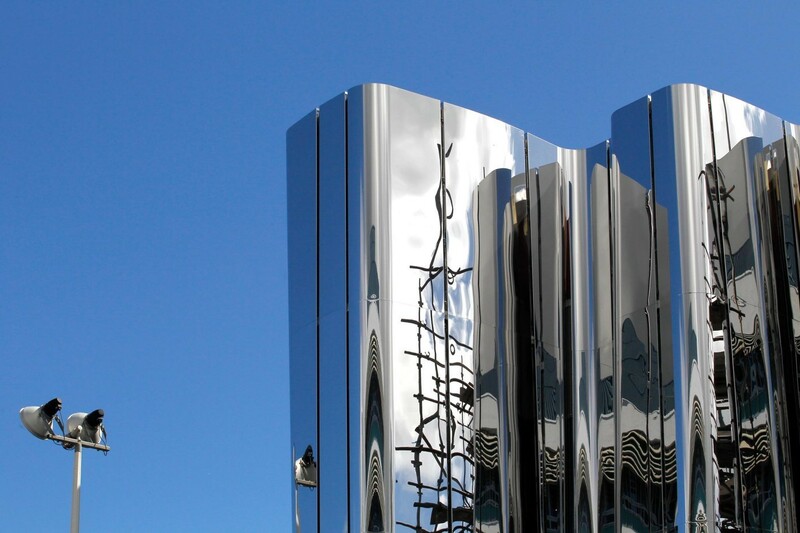 Le Calligramme will be installed at Pukeahu National War Memorial Park. 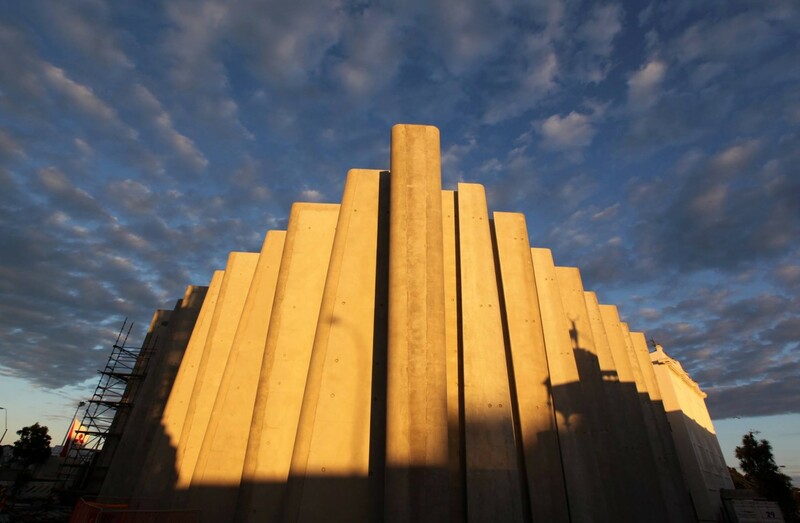 The design was entered by a team led by Patterson Associates comprising architect Andrew Patterson, architectural graduate Tom Dobinson, artist Paul Baragwanath and landscape designer Suzanne Turley. The design was chosen from the 43 submissions received for the contest. 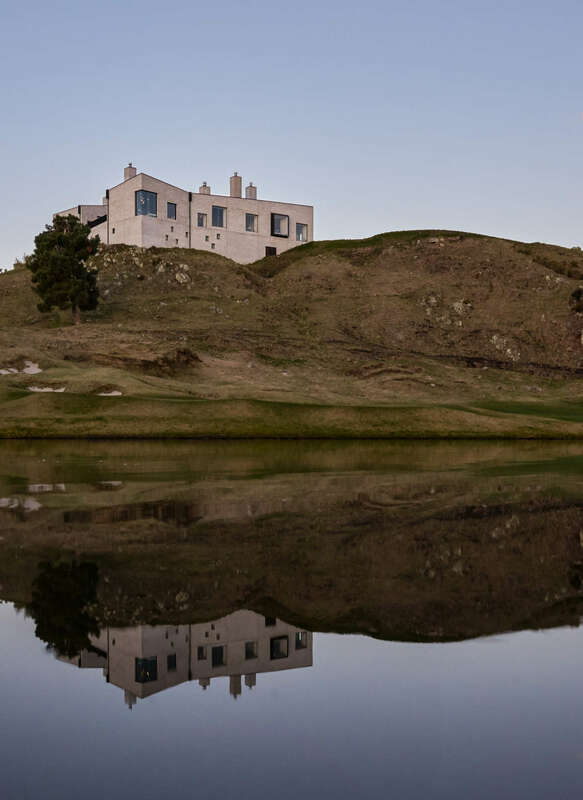 The New Zealand Herald has reported that at least two Hollywood A-listers are heading to New Zealand to stay at Kinloch Lodge after accommodation at the exclusive Taupo retreat was included in goodie bags for Emmy Awards winners. 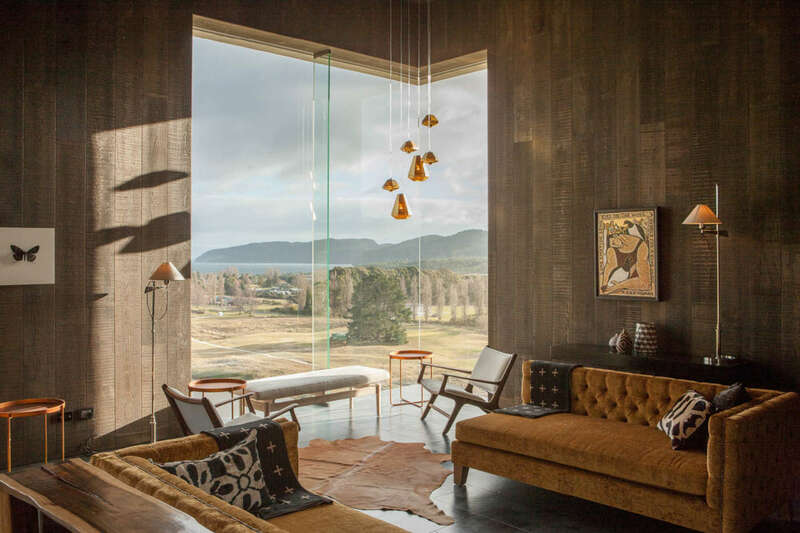 The lodge, designed by Patterson Associates, emulates a version of the Kinloch region’s namesake Scottish castle, but with a modern 21st century vision. Emmy winners included Modern Family’s Ty Burrell, Will Forte of Last Man on Earth and Big Bang Theory’s Mayim Bialik. Double Oscar nominee Viola Davis, Glee’s Jane Lynch, Tony Hale of Veep and former West Wing duo Allison Janney and Bradley Whitford were also winners. 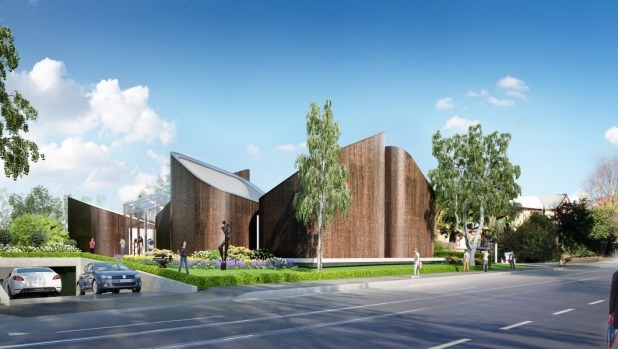 Land in Rolleston Ave, Christchurch, will be gifted to Canterbury Museum so it can push ahead with the planned $13 million Ravenscar Museum designed by Patterson Associates. 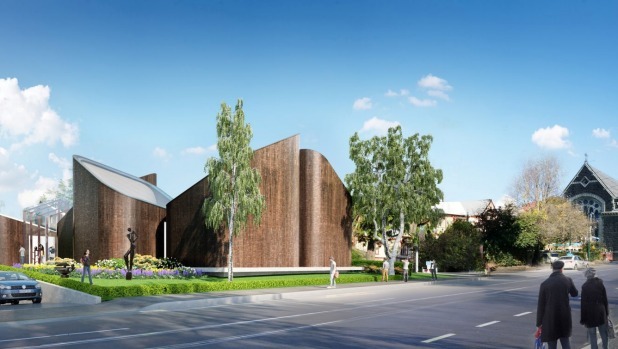 Christchurch City councillors voted unanimously to gift the land, worth $5m, after receiving strong public support for the proposal. 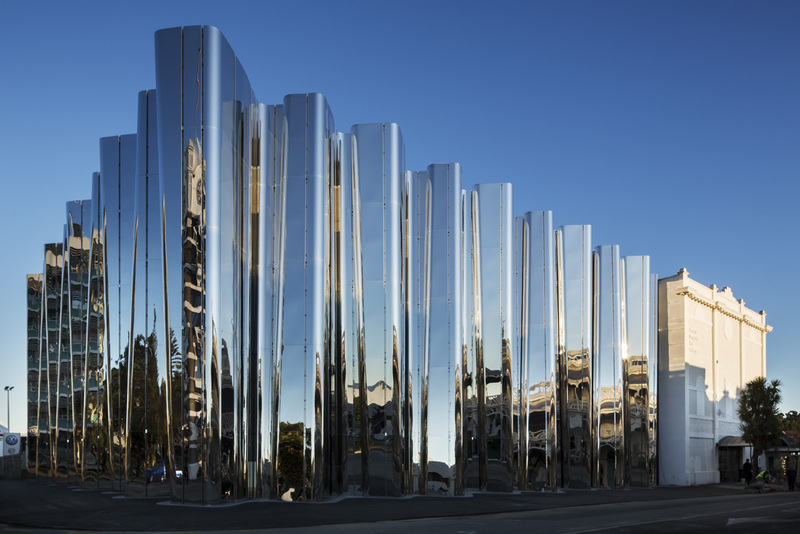 The Len Lye Centre in New Plymouth has been named one of 16 must-see architecture projects for 2016 by Traveller Magazine. 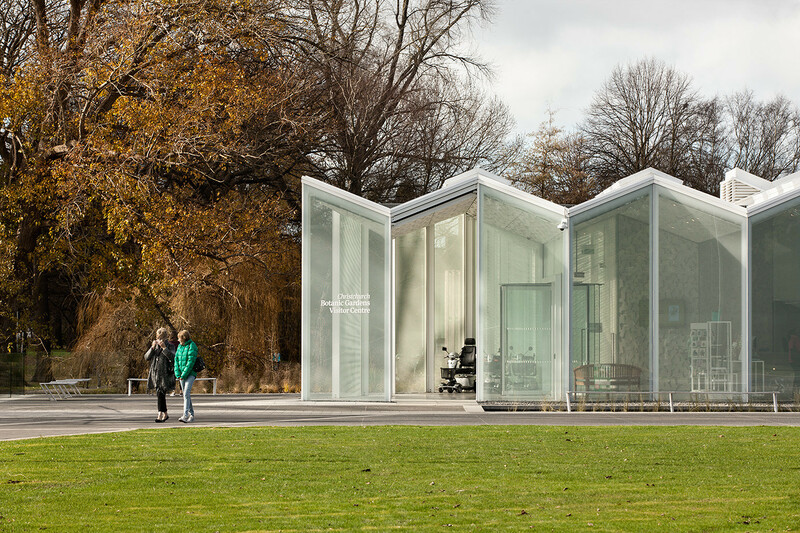 Pattersons was in attendance at the NZIA Awards on Friday 30 October, where we were honoured to take home the inaugural John Scott Award for Public Architecture, for the Christchurch Botanic Gardens Visitors Centre. 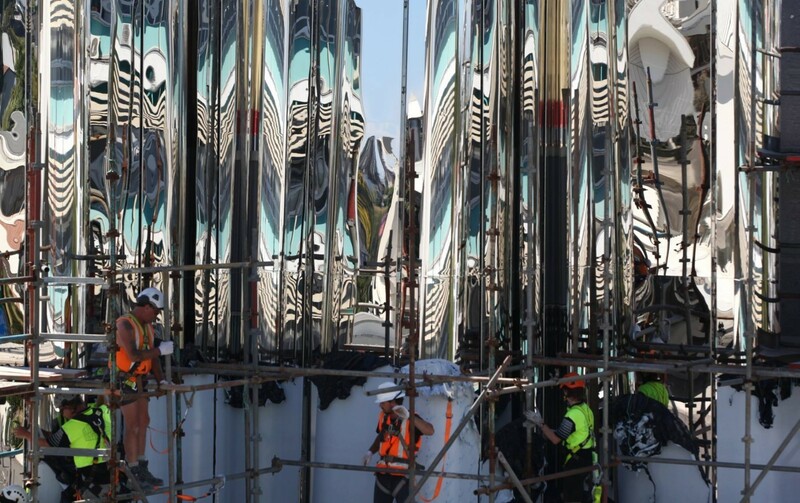 The jury noted “an exhilarating contemporary take on the traditional garden greenhouse and an adroit and sympathetic piece of place-making” and “the elegant form is an inspiring contribution to the public realm in Christchurch”. A plan for a new House Museum designed by Patterson Associates was recently announced by the Canterbury Museum and Ravenscar Trust. 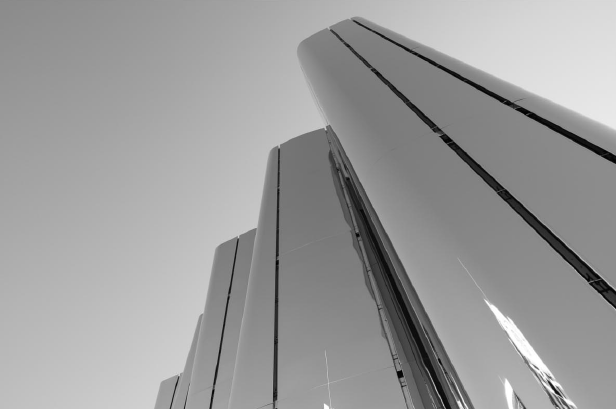 The team at Pattersons is humbled and delighted to be selected to create this building. Click here for more. 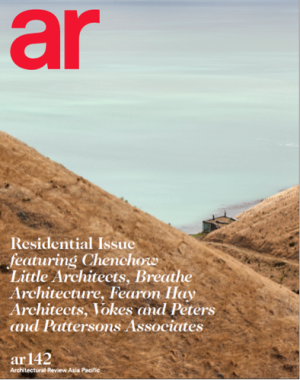 Seascape has featured on the cover of the latest issue of Architectural Review, out 1 October. 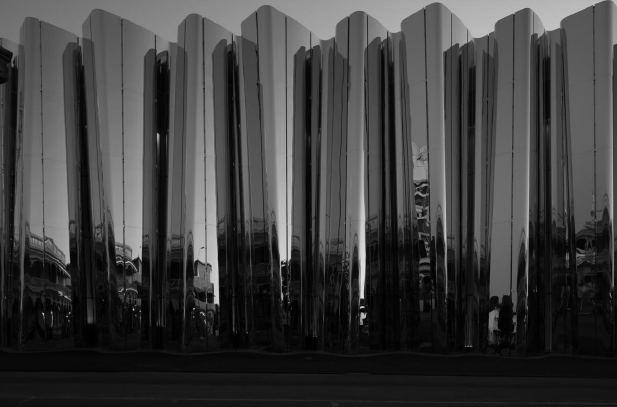 The Len Lye Centre in New Plymouth opened to the public on Saturday 25 July 2015, with a crowd of over 8,000 visiting the building by the end of the weekend. 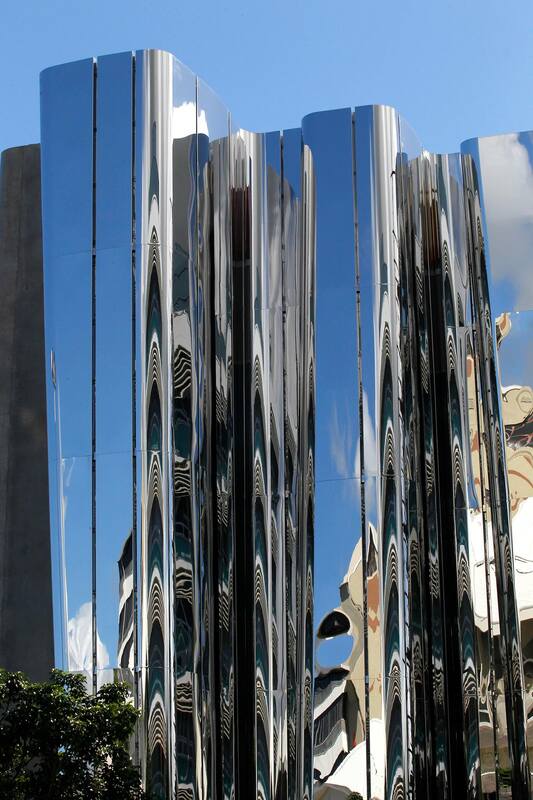 The Len Lye Centre officially opens its doors tomorrow. 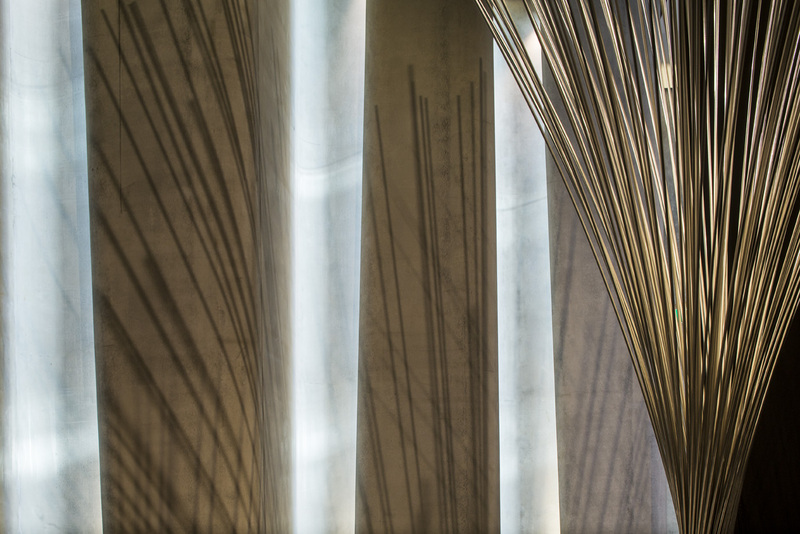 The building’s design articulates Len Lye’s philosophy on the relationship between art and architecture. 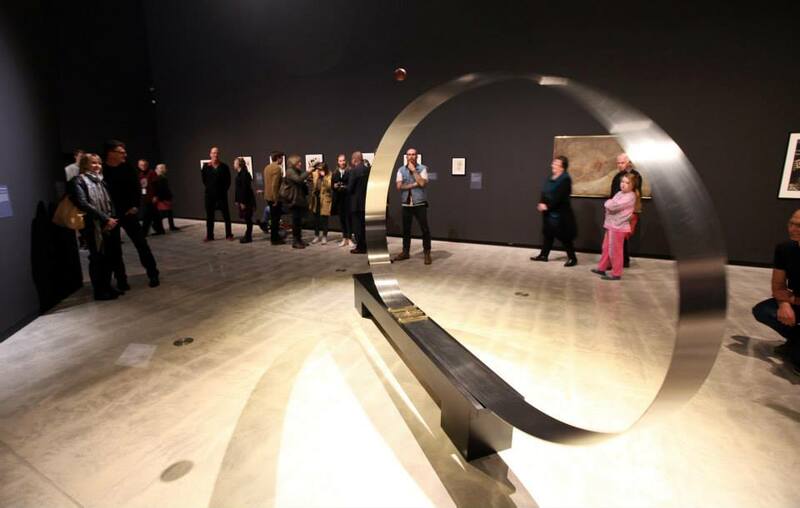 The space is reverential, creating a sensory experience from light as a ‘temple’ for art. See more about the project here. 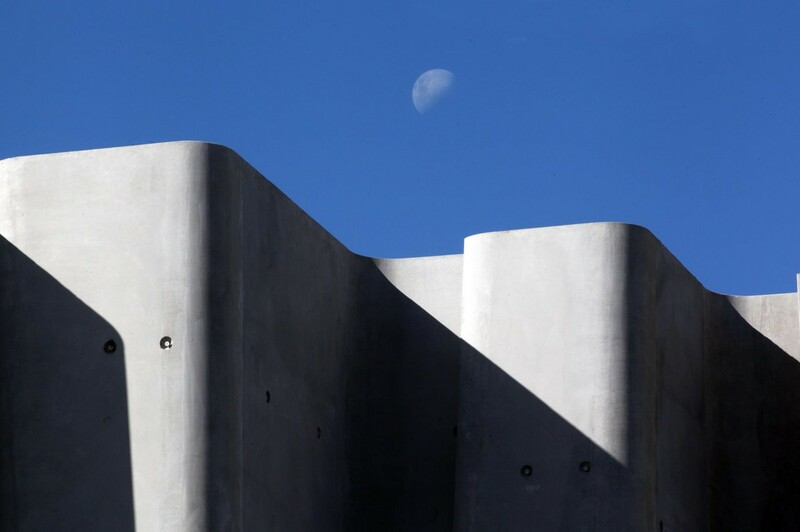 The Len Lye Centre is set to open this weekend. 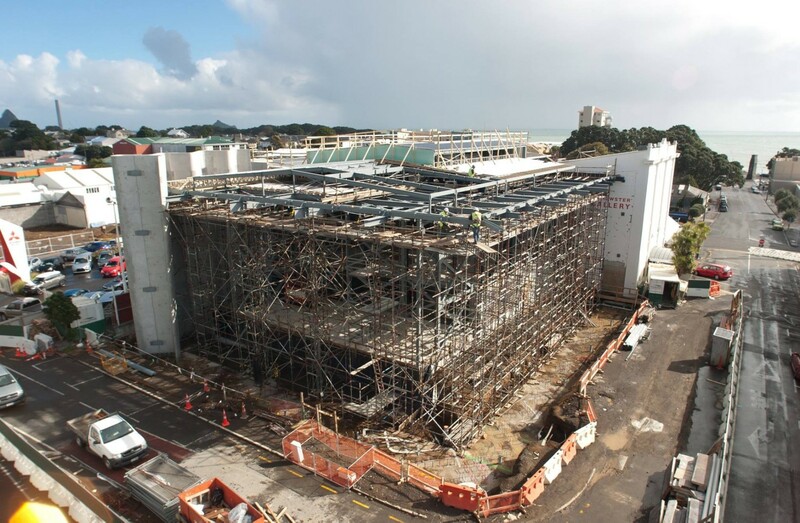 One of our directors, Davor Popadich, travelled to New Plymouth to photograph the building ahead of its grand reveal. Here is a selection of images he captured. 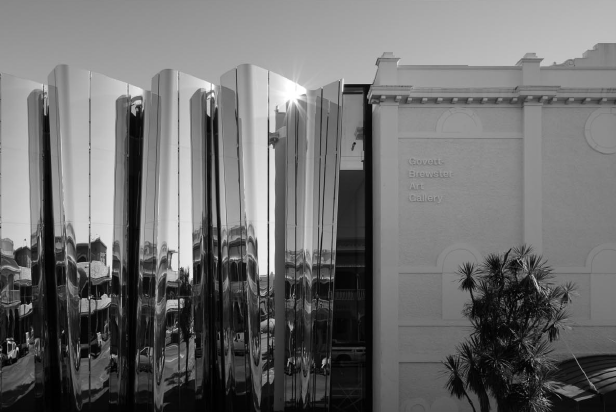 The Len Lye Centre is set to officially open in New Plymouth next Saturday 25 July. More information here. 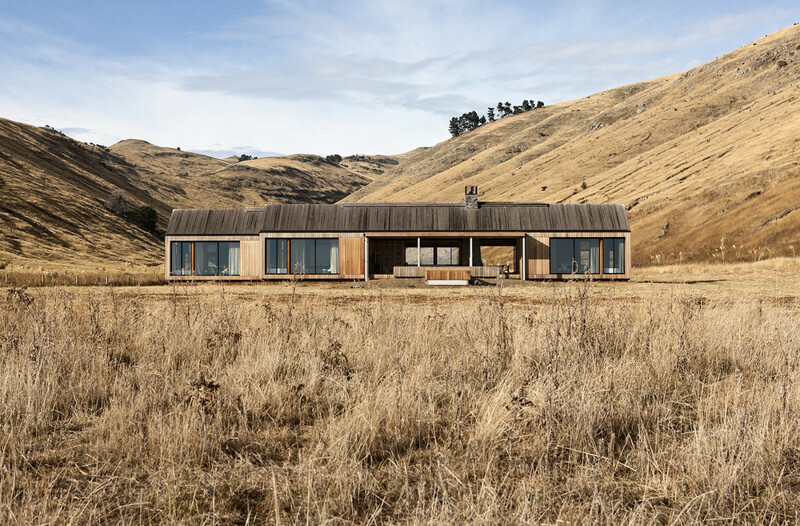 Three Pattersons projects have been shortlisted in the World Architecture Festival (WAF) Awards. 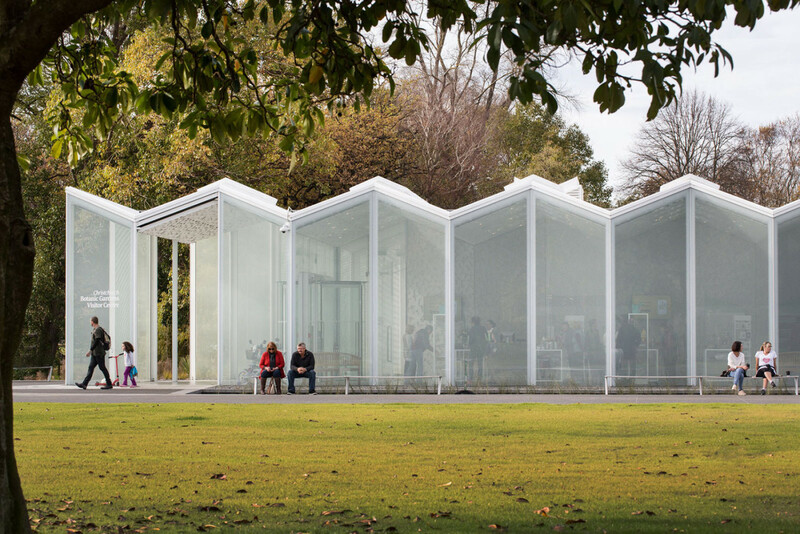 The Christchurch Botanic Gardens Visitor’s Centre, shortlisted for Display – Completed Buildings. 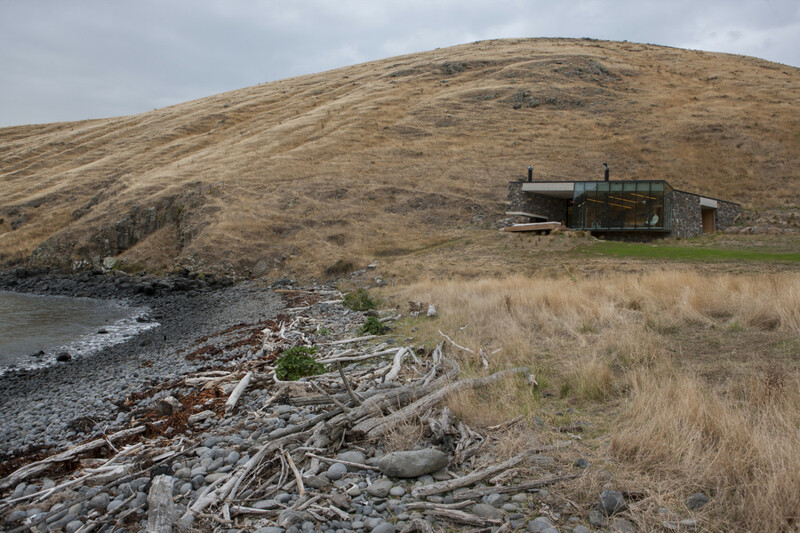 Scrubby Bay, shortlisted for House – Completed Buildings. 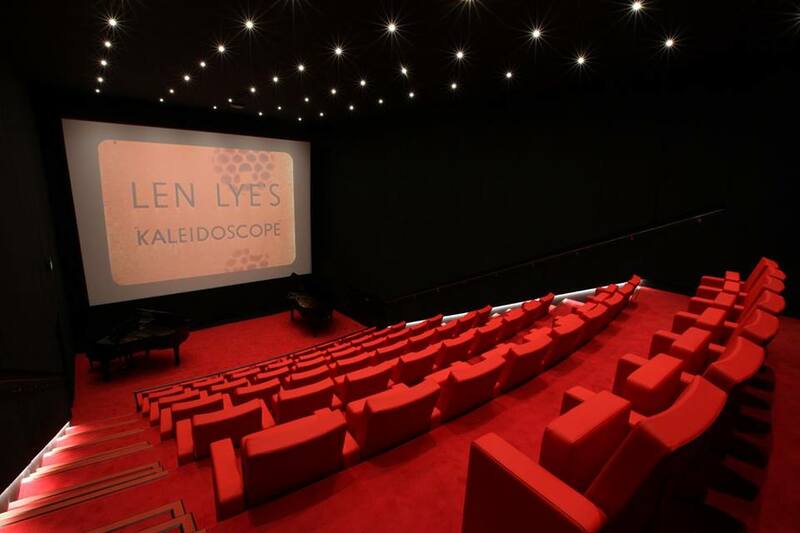 Olive Grove, shortlisted for Hotel and Leisure – Completed Buildings. 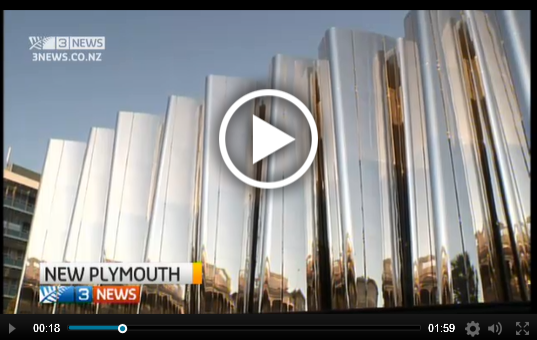 The Len Lye Centre was featured on 3 News last night. See the full story here. 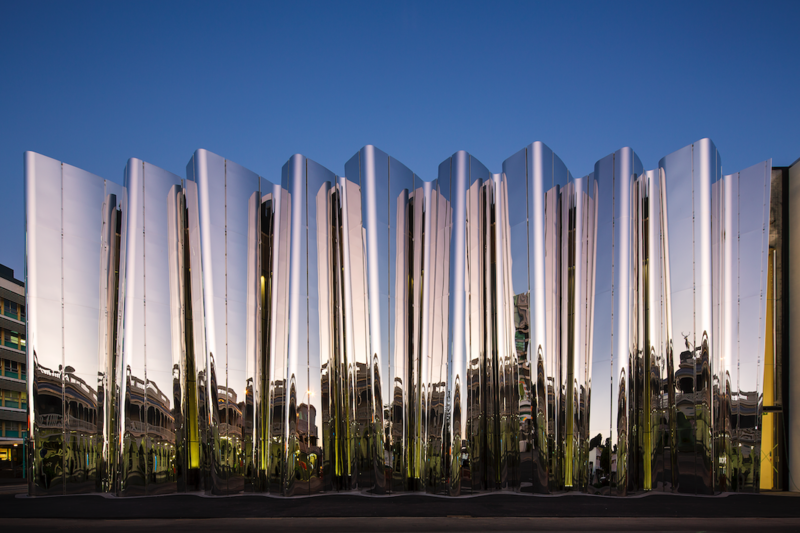 Pattersons has won the intensely contested Civic Award at the 2015 Interior Awards, for the Christchurch Botanic Gardens Visitor’s Centre. Ten awards were conferred at the awards event on 17 June. 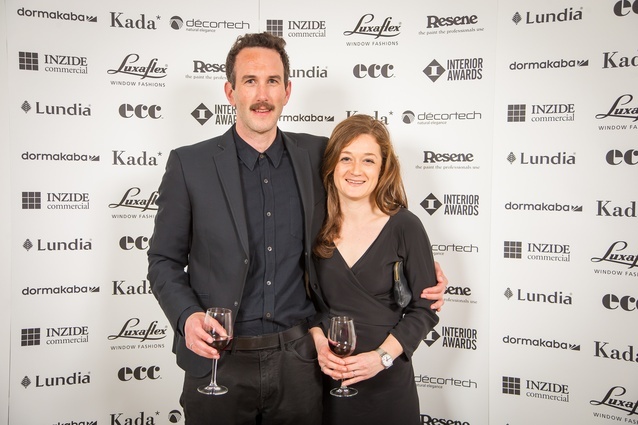 Now in its fourth year, the Interior Awards received a record number of 118 entries from 73 New Zealand design practices. 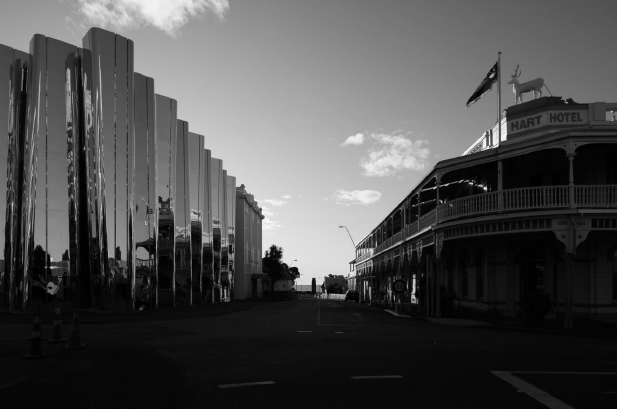 Photography of the Len Lye Centre by Rob Tucker. 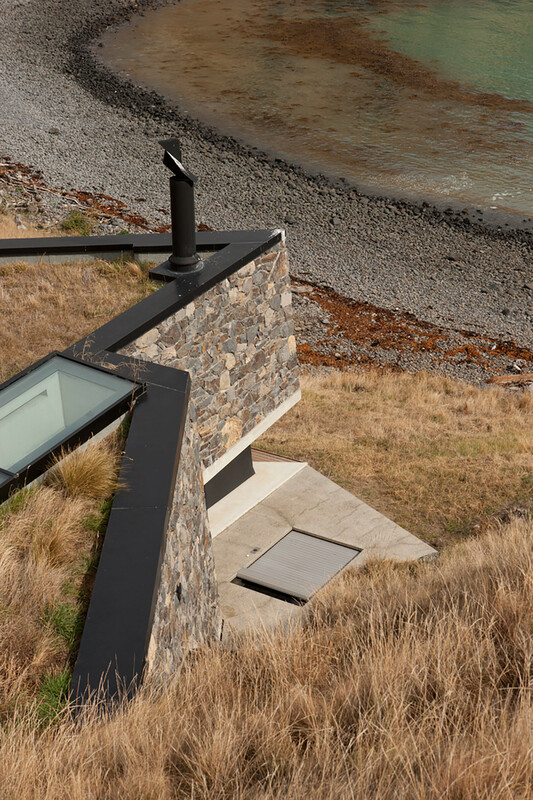 Maungakawa has been selected as a finalist in Home Magazines Home of the Year Award 2015. The April/May edition features the project and interviews Davor Popadich and our clients Emma & George Bettle. 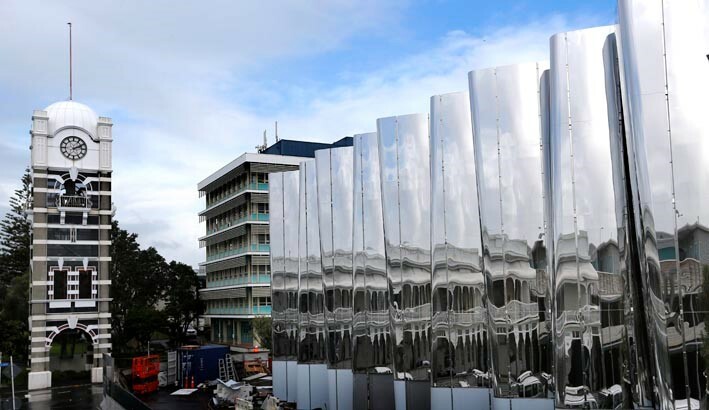 The stainless steel façade of the Len Lye Centre has been revealed. Read more here. Christchurch Botanic Gardens is featured in the October/November issue of HOME. Seascape house by Pattersons awarded Urbis Best of 2014.